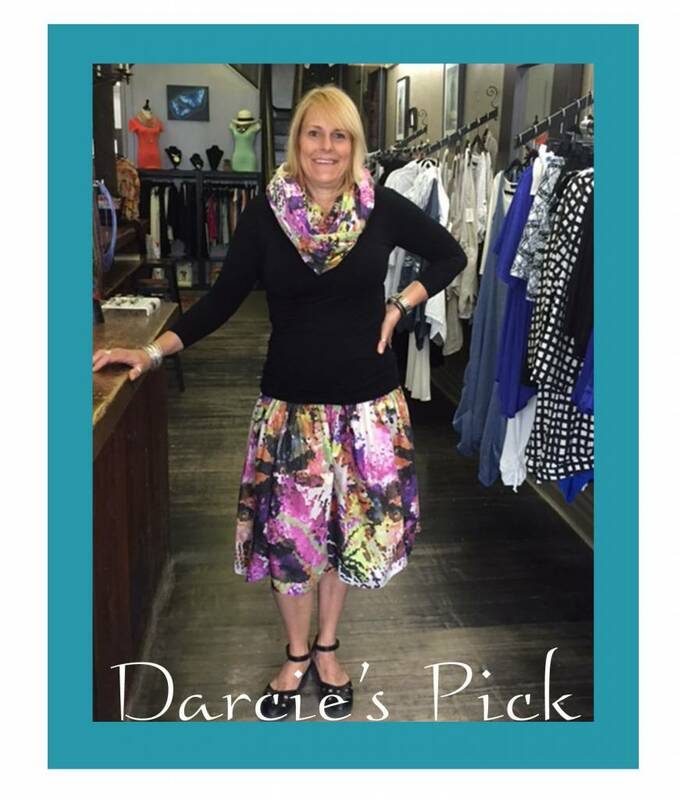 We are brightening this week up with a pick from Darcie that features our fabulous new flirty floral Multi Print Tuck Skirt and matching Scarf. Paired with a C'est Moi Bamboo Scoop in basic black, this is the perfect neutral to accent the bright pattern in our Tuck Skirt. We also love to pick out an accent colour from the skirt and choose a Scoop to match- we have brand new colours in the store to experiment with! We love this summer skirt with almost anything as it is fun and feminine. Available in Iris as well, this skirt will take you through the hot days of summer looking light and lovely and is universally flattering.